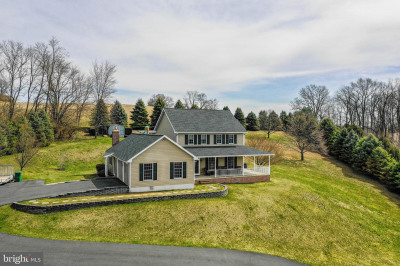 Lovely traditional style home sits up high on just under 4 acres of land. 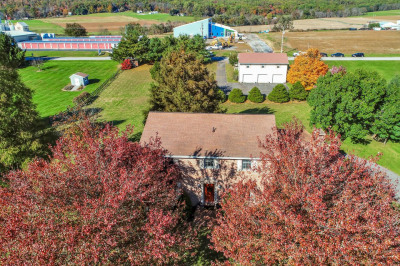 Conveniently Located in a secluded, beautiful, and peaceful area of Berks County just 2 miles from I-78 and 6 miles from Cabelas shopping complex. Spacious layout with master bedroom on first floor, hardwood and ceramic tile throughout with freshly painted interior. Brand new carpets upstairs and hardwood floors downstairs. Gorgeous views from every single window on this lovely over sized lot with a warm back yard southern exposure. Walk down stairs to a fully finished basement complete with bar, huge living room and bathroom. Perfect for a rec room or in-law suite. Walk out back to your very own private in ground swimming pool with spectacular hard-scaping and decor. 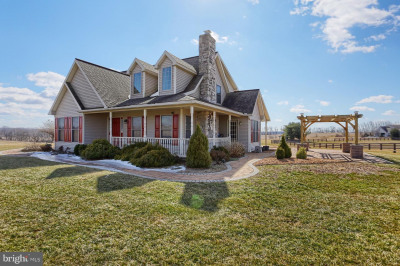 This is a home you will want to live in forever. Seller is also including a 1 year home warranty!